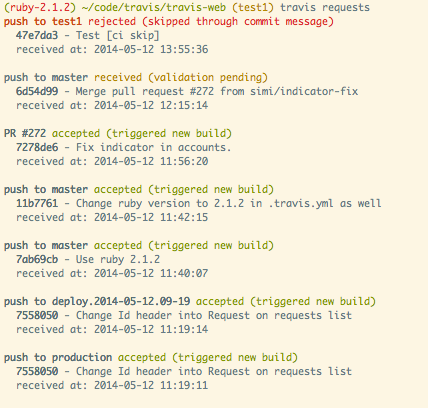 Sometimes you push to Travis CI and there is no new build. What to do in such case? Has Travis CI got your commits? Is the branch you were using disabled? Do you need to tweak some settings? You no longer need to ask these questions! 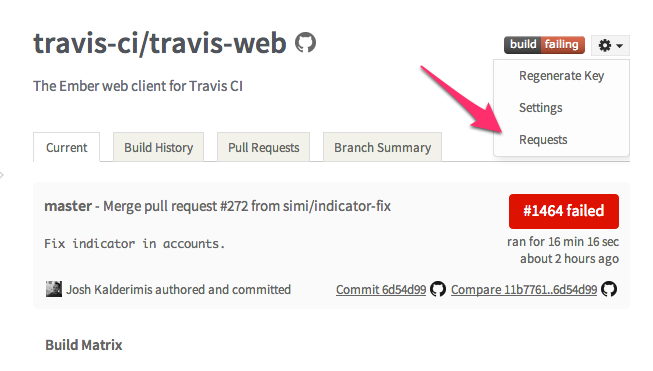 If you are not sure if your commits reached Travis CI don’t wait and checkout the requests page!